Ebuka “Quentin” Nnagbo is quite the athlete, but he didn’t leave his home country of Nigeria to play basketball at the Park School. Basketball just kind of happened. He showed up at the tiny, private college preparatory school in Snyder late in the summer of 2016 for the education. Nnagbo wanted to attend a college in the United States. The son of an engineer figured going to high school here, where he could stay with a cousin, would provide the best chance. 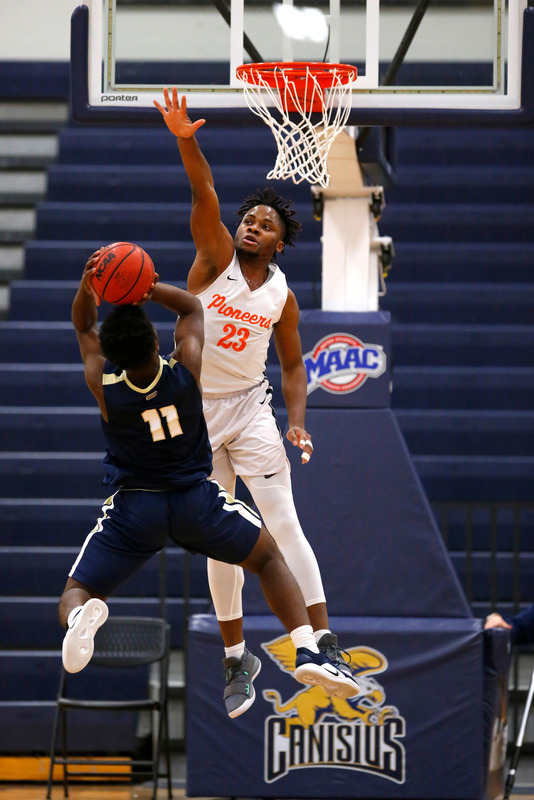 Basketball was the furthest thing from the 6-foot-8-inch Nnagbo's mind when he showed up in Western New York. A big, athletic young man who grew up playing soccer, the then-sophomore began working with a personal trainer, thinking he’d have a better chance of playing American football than soccer due to his height and frame. Nnagbo showed up for basketball tryouts anyway. It turned out to be a wise move. Nnagbo is a project who has yet to reach his basketball potential. But he’s been enough of a quick study to become a handful for the competition whether he’s defending the rim or attacking it. He’s one reason the Pioneers are 25-2 with hopes of again completing the championship trifecta. Park heads into the final weekend of the high school basketball season looking to defend its Federation Class A championship in Glens Falls. The Pioneers face old friend Albany Academy at 10:30 a.m. Saturday in a semifinal at Cool Insuring Arena. The game is a rematch of last year’s Federation final, a thriller won by Park in comeback fashion via buzzer-beating basket by Noah Hutchins. Nnagbo played in that game as part of the devastating rotation of big men with 6-foot-9-inch Julian Eziukwu and 6-foot-10-inch John Ese Orogun. They made an effective tower of three even though usually only two played at the same time. 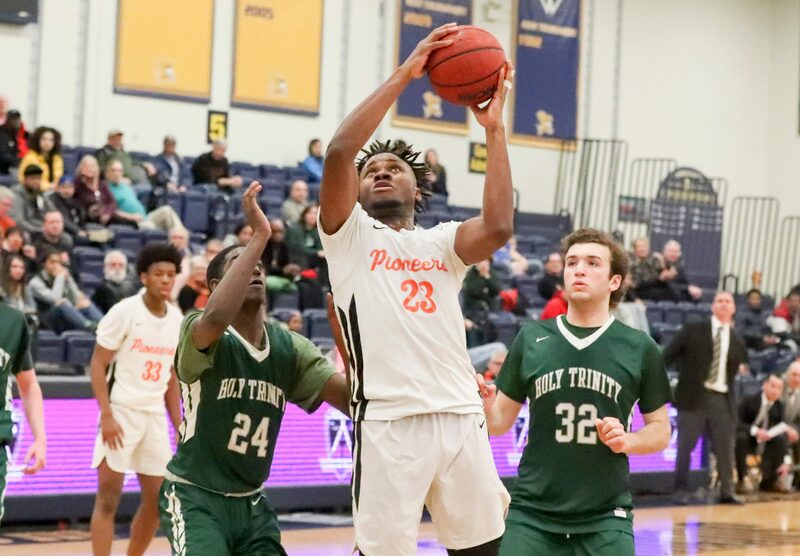 Nnagbo has been a tower of power on his own this season since the other two left for prep school. He is playing the best basketball of his life and enters the Federation Final Four averaging 14.0 points and 9.7 rebounds per game. Last season, he averaged 6.8 points and 6.5 rebounds as all three in the rotation put up similar averages. Now, he does more than that. A late bloomer who has yet to receive much college interest, Nnagbo can dribble-drive in the paint. He’s proven adept at passing out of a double team. He has developed an 8- to 10-foot jump shot. He worked on post moves and footwork with St. Joe’s and Saint Louis alumnus Reggie Agbeko. Nnagbo also increased his stamina by riding his bike everywhere from his Tonawanda home, including to school in Snyder and the YMCA in North Buffalo for offseason basketball workouts. He only appeared in six games as a sophomore, but stuck with the game because he loved playing it. Though he didn’t play much as a sophomore, Nnagbo managed to make an impression on then-coach Mike Battaglia, who still regularly attends high school games. “He was very mature and was willing to work hard,” Battaglia said. “It’s clear he had a bright future. He’s a nice young man, very engaging. This is only the fifth year Nnagbo has played organized basketball. By gaining more experience, he has grown more confident in his abilities. Although he was a key contributor to last year’s title run, Nnagbo saw the potential to do more in his final year. He knew Eziukwu would be gone due to age eligibility. Nnagbo also knew Orogun transferred to a prep school during the summer. Then expected returnee and second team All-Western New York player Dan Scott left after receiving an offer from national prep school power Oak Hill Academy. Someone was going to have to pick up the slack. Enter Nnagbo. 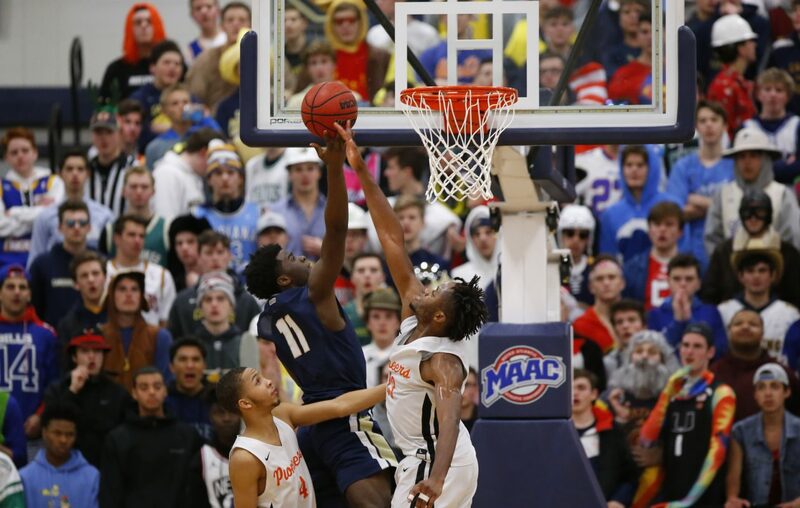 Nnagbo is focused on helping the Pioneers complete the championship trifecta again after having helped them defend their Manhattan Cup and Catholic state championships. Park likely is the underdog, having dropped a regular-season meeting at perennial state power Albany Academy (17-3), 67-44. 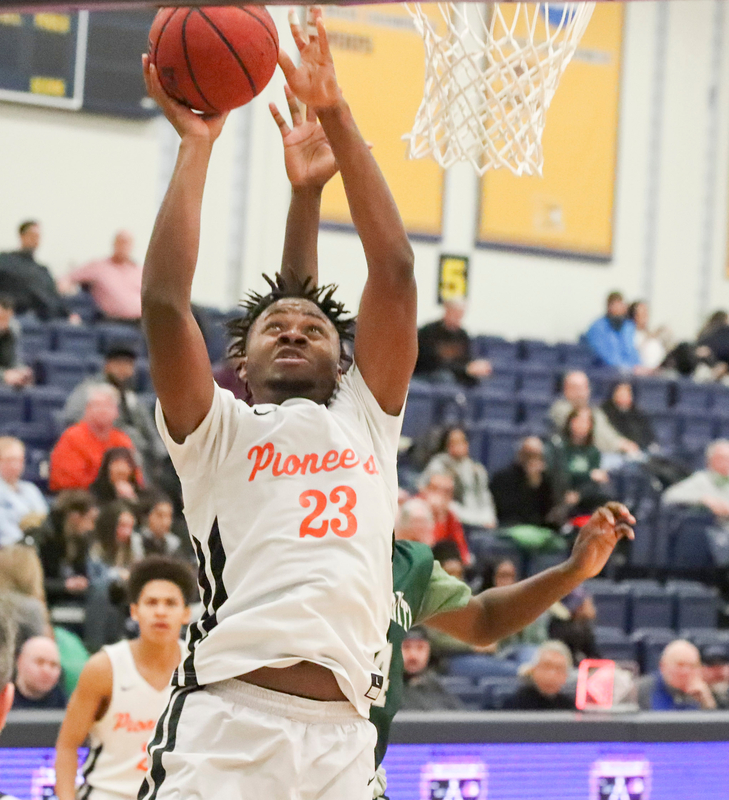 However, the Pioneers played that game without injured star guard and returning first team All-Western New York pick Noah Hutchins. He’s healthy now, and will have a reliable post presence in Nnagbo.